There are several myths, rumors and misconceptions about SGLI and VGLI insurance floating around. Below, we have listed some of the most commonly held misconceptions. True or False: Payment of TSGLI reduces the amount of SGLI payable at the time of the Servicemember's death. False: Payment of TSGLI has no impact on the amount of SGLI payable. For example, if a Servicemember is insured for $400,000 of SGLI coverage and receives a TSGLI payment of $50,000 for a traumatic injury, that member is still insured for the full $400,000 of SGLI coverage, which will be paid upon the Servicemember's death. True or False: SGLI won't pay if I die while wearing privately purchased body armor or a privately purchased helmet. False: SGLI claims are paid regardless of body armor or helmet type. Wearing body armor or a helmet is not a requirement for a SGLI claim to be paid. True or False: SGLI or VGLI won't pay if I die in a motor vehicle accident or airplane accident and wasn't wearing a seat belt. False: SGLI or VGLI claims are paid regardless of whether the member was or was not wearing a seatbelt. True or False: SGLI or VGLI won't pay if I die in a motorcycle accident and I was not wearing a helmet. False: Your SGLI or VGLI proceeds will be paid to your beneficiary or beneficiaries, regardless of whether you were or were not wearing a helmet. True or False: I'm a Reservist/National Guard member and I heard that my SGLI coverage is only good while I'm at drill. False: If you are a Reservist or a National Guard member and have been assigned to a unit in which you are scheduled to perform at least 12 periods of inactive duty that is creditable for retirement purposes, full-time SGLI coverage is in effect 365 days of the year. You are also covered for 120 days following separation or release from duty. True or False: SGLI or VGLI won't pay if I die as the result of a terrorist attack. False: Your SGLI or VGLI proceeds will be paid to your beneficiary or beneficiaries if you die in a terrorist attack. True of False: There are several war or terrorism exclusions that would prevent payment of my SGLI or VGLI insurance to my beneficiary. False: There are no exclusions that apply to SGLI or VGLI coverage. True or False: SGLI won't pay if I die in a "black-zoned" area or a "no-go." area. False. SGLI claims are paid regardless of the location of the death. True or False: I can apply for the SGLI insurance dividend based on military service. Supposedly some bill was passed. False: Rumors that Congress approved a "Special Dividend" for Veterans who do or do not have Government life insurance have been spread for over 30 years. These rumors are false. 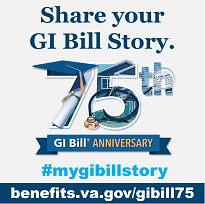 More recently, it has been adapted to state that a dividend is being paid on Servicemembers' Group Life Insurance (SGLI) or Veterans' Group Life Insurance (VGLI) coverage. VA and OSGLI have done everything possible to stamp out the rumor but it still persists. You can help by returning the false information you received to its source and telling whoever gave it to you that you know for certain there is no such dividend. If you have any questions about this hoax, or any other matter related to Veterans' issues please don't hesitate to contact us. How Can SGLI Coverage be Forfeited? The coverage provided by the SGLI program will be forfeited only when an insured member is found guilty of mutiny, treason, spying, or desertion, or refuses, because of conscientious objections, to perform service in the Armed Forces of the United States, or refuses to wear the uniform of such force. No insurance shall be payable for death inflicted as a lawful punishment for crime or for military or naval offense except when inflicted by an enemy of the United States.